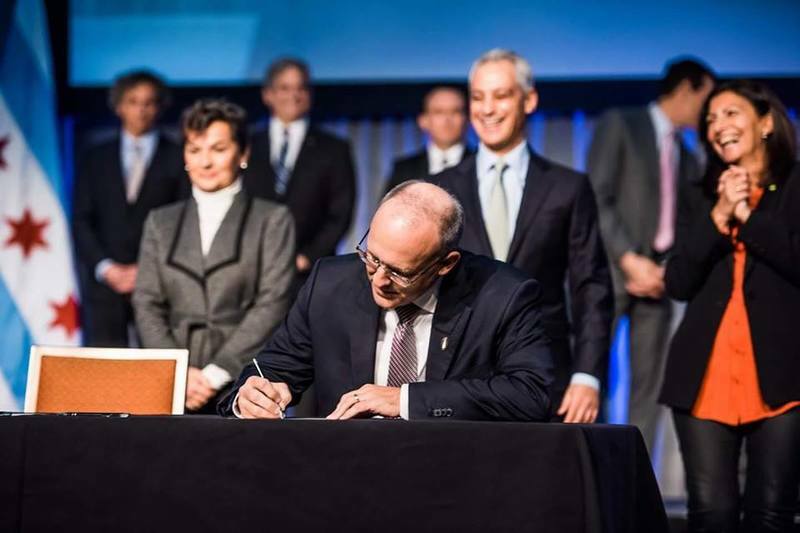 A forward-thinking Evanston city council has approved a Climate Action and Resilience Plan, reportedly the first city in Illinois to commit to 100 percent clean, renewable energy. It has some great aspects aimed at protecting the North Shore Channel, part of the Chicago River system. Noting that with global warming there have been, and will likely continue to be, heavy rain events, Evanston rightly is concerned with combined sewer overflows. These releases of untreated wastewater into the Chicago River system occur when the sewage system is overtaxed from storms. During and immediately after major rainfall events, deploy an education and communication plan in coordination with the appropriate partners such as Metropolitan Water Reclamation District of Greater Chicago and Friends of the Chicago River to alert residents, businesses and institutions to delay activities that will contribute wastewater (such as doing laundry) until the treatment process can catch up with the overloaded combined sewer system. Enhance stormwater systems to handle an increase in severe weather events. Target specific types of infrastructure to implement green infrastructure including: parking lots, alleys, parks, vacant lots, parkways, and grading near sidewalks. Promote native landscaping, restore and conserve habitat. You can read the complete Evanston plan here. A Evanston Now report on the plan is here. Sign up for Friends' #OverflowAction Day alerts here.